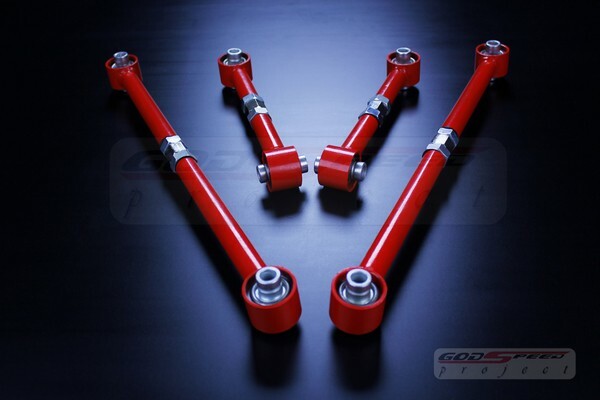 Looking for a rear link set upgrade for your Toyota Corolla AE86? 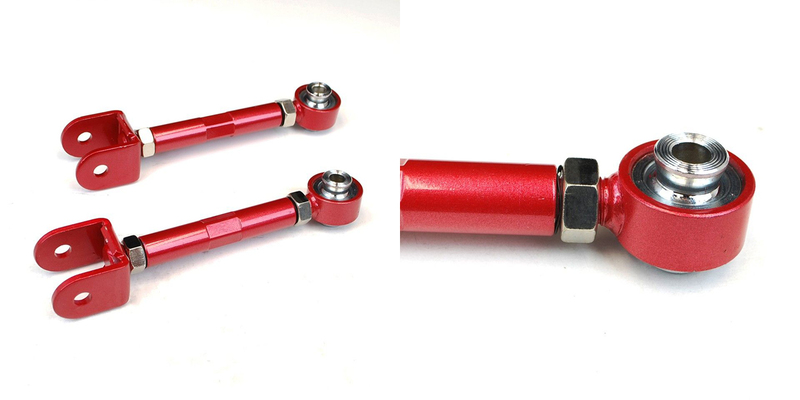 Look at this AE86 Adjustable Links set that we offer from Godpseed. Godspeed Project’s rear lower link set is made to improve the handling of your AE86. For instance this link set will replace the OEM links and the soft rubber bushing. All the parts are made from high-strength steel alloy. Godspeed’s AE86 Adjustable Links use pillow ball constructed for comfortable ride yet you get to retain performance compare to stock rubber mount will which wear out in couple years. In comparison Godspeeds pillow ball links will last you at the very least 10+ years. Finally this will easily outperform the stock link set. Adjustable lengths will allow more fine and accurate tuning for proper suspension geometry.